Traditional Chinese hot pots are cooked at the table, so this hearty slow-cooker stew technically doesn’t count. Nevertheless, the flavors are inspired by a hot pot, and this countertop version is easy and delicious. Having spent 25 years of my life in Michigan and 9 years in New England, it goes without saying that pure maple syrup is a staple in our kitchen. From an early age I was introduced to fresh maple syrup during a school field trip to a local nature center. At the end we all were handed little spoonfuls of warm, fresh maple syrup. That deep, pure flavor and rich aroma is one I’ll never forget. In my late-twenties when I was in the middle of my weight loss journey, I vowed to give up all artificial sweeteners and rely on more natural, less processed ways to sweeten my foods. When you stick to real food like pure, rich, amber maple syrup, it’s amazing little you need to add flavor to a dish. Flavor, not sweetness. There’s a difference. 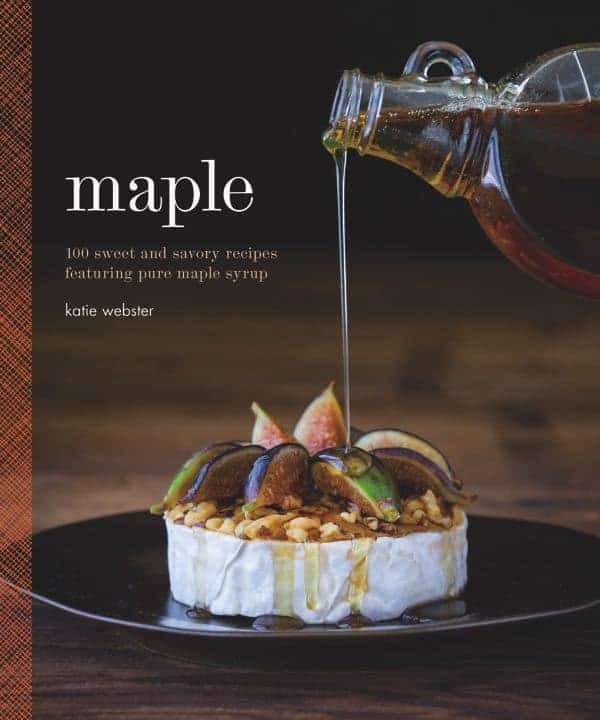 Needless to say, my heart was filled with joy when my friend Katie Webster announced that she was creating a complete cookbook dedicated to all things maple. 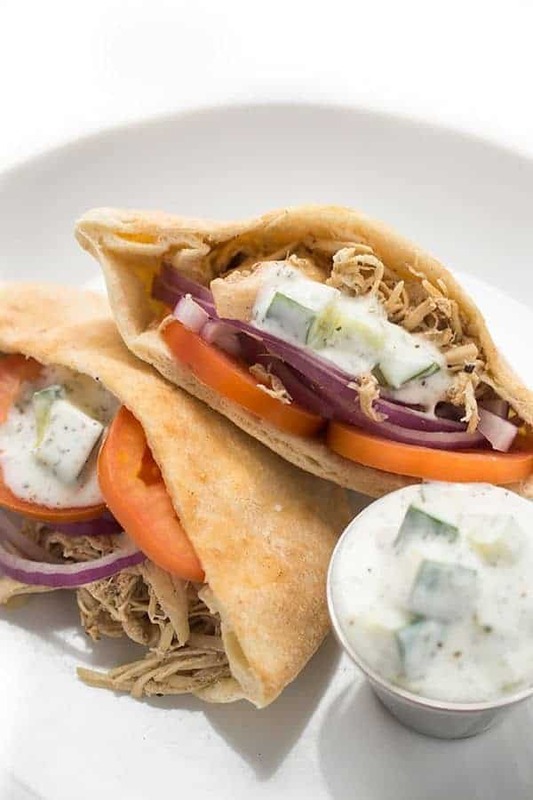 Her book, Maple, is filled with mouth-watering recipes from front to back including Maple Whole Wheat Pizza Dough, Chicken, Peanut, and Napa Cabbage Pad Thai, Maple Morning Glory Muffins and so much more. 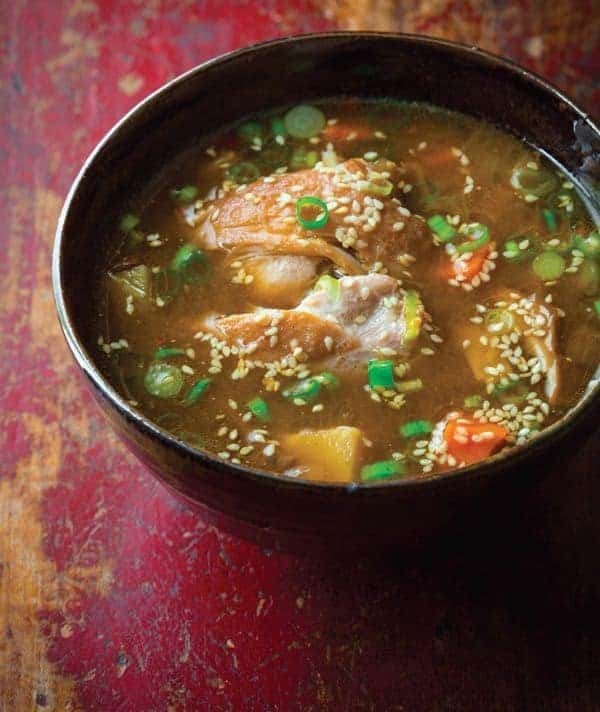 This Slow Cooker Chicken Thigh Hot Pot is a perfectly balanced dish of salty, sour, sweet and slightly spicy flavors. 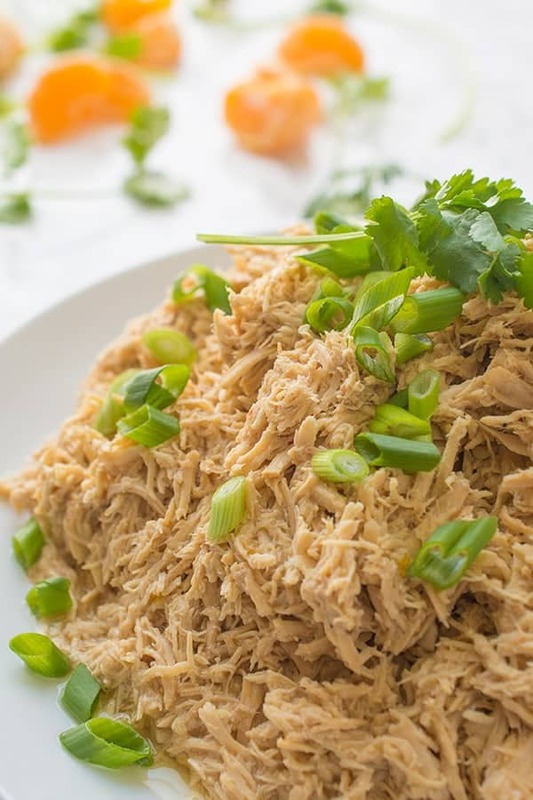 Chinese five-spice powder and ground ginger add an incredible aroma to this warm and soul-satisfying dish you’ll be making again and again for your family. Be sure to pick up a copy of Katie’s cookbook Maple today! It’s that time of year again! 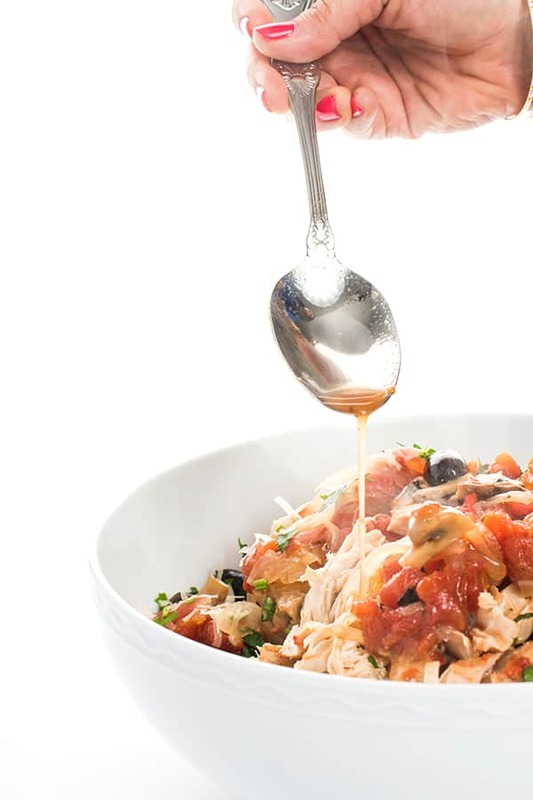 Fall is the perfect time to try out some Healthy Slow Cooker Recipes! Hi Liz, this looks like a lovely dinner. Do you think this can also go well with fish, shrimp or chicken breast? thanks! Yes absolutely! I would simply reduce the cook time if it’s shrimp or seafood. You know I will be making this. Looks killer!! This is right up your alley girl! Um….this is one fabulous Fall perfect dinner! Gimme! It’s not too spicy – don’t worry! 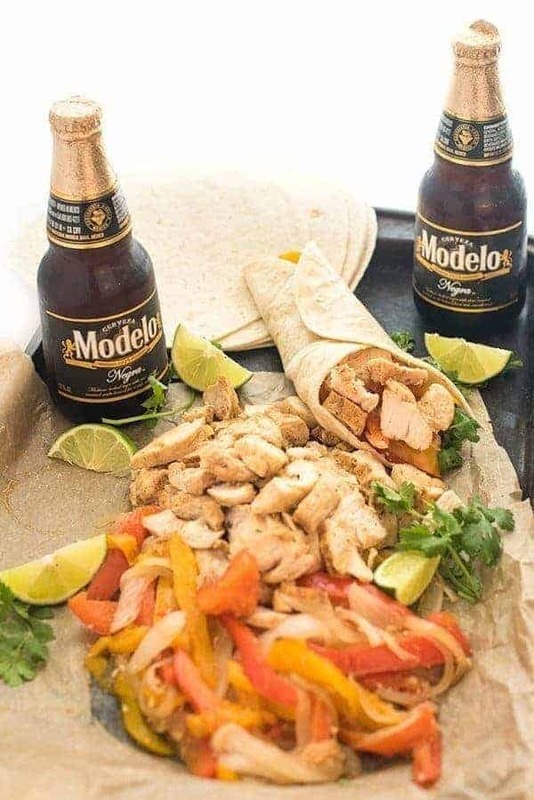 Look yummy and can’t wait to make it. But please fix Step number 3!! Oh my goodness thanks for pointing that out! All set !! thank you! Chicken thighs are the best. And this soup looks soooo good, I can’t wait to try it! I hope you try it and love it Meghan! Isn’t it just the best time of year for cozy eating!? Liz, Thank you so very much for sharing my cookbook with your readers. It is so great to finally be able to share it with everyone. I am so glad you chose to make the Hot Pot! We are having it for dinner tonight. Not joking! My daughter has soccer so we don’t get home until dinner time. I am so happy for you and proud of you!! That’s too funny about you having it for dinner!!! I don’t blame you – it’s amazing!! Thank you for including me in your book tour! Isn’t it amazing?? Fall is here!